If you’re like many women online you’ve probably had dreams of sipping mimosas under a large umbrella on a beach somewhere in the Caribbean while you enjoy the pings of products being sold on your phone. You’ve heard the success stories of other women who now make passive income look like a breeze and you’re buying into several myths and misconceptions about building and starting a business online. Most women who now own successful “passive income digital product businesses” started off offering services first. I know it’s not something that is widely talked about because everyone wants to sell the online business “dream” of less work more money without all the details - so now that we have that secret out of the way, allow me to share a few other myths and misconceptions. This is one of the most common misconceptions - that you need to have a big audience and/or email list before you can start booking clients. Actually it’s quite the opposite - see when you create a premium package and price it right you won’t need to work with a ton of clients to maintain your income. Book clients (1 - 10 usually) from your small but targeted audience. See you aren’t selling $97 products or even $500 products so you don’t need to have swarms of potential clients coming to you each month. With 100 audience members you can sell 2 spots in your package, let’s say you charge the minimum of $2,000 that’s $4,000 you’ve just made vs. 2 products at $500 (on the higher end) that’s $1,000. Here’s a lesson I’ve learnt over time online: It’s just as easy to book a premium client as it is to sell a low-cost digital product. This one I used to believe UNTIL I worked with several coaches in premium packages and I got to see first hand what was and was not involved in them. You don’t have to have a team to manage your clients what you need is to set expectations from the beginning be accessible but also have boundaries to avoid the overwhelm and burn-out but still deliver on your results and give the solution they signed up for when hiring you. Don’t get me wrong when done correctly free calls are EVERYTHING! But you must have a strategy to convert the FREE into PAID. However, you don’t have debt to pay - you don’t owe anything. You don’t need to do free calls, you can get started by just creating content, positioning yourself as the expert and taking your potential clients from being strangers to you to realising that they need you and your solution - your package sooner rather than later. Free calls is just one way to do that, you can do the same thing by showing up, being visible, creating strategic content, having a simple but effective sales funnel in place that attracts all the clients and creates hot prospects for you. This is more of a mindset thing - something us women struggle with more than our male counter parts do. We always feel like we’re charging too much. And we either lower our prices or we throw in a bunch of bonuses to accommodate for our “outrageous” price point. I would never ask you to charge more “just because” but I do ask that you charge based on the RESULT that you will provide to your clients. What is the SOLUTION WORTH? You don’t have to charge low prices because you’re new - question is are you good at what you do? Don’t feel confident yet? Take on some free clients to build your confidence but don’t devalue your services. I know, I know, for some reason the word funnel sounds expensive. But the reality is you don’t need expensive tools and the tools definitely don’t need to be complicated. Or for free completely or for really affordable. I love and use convertkit personally to host my email subscribers and I have been using leadpages for years. But you can use free options to get started and then as you grown in your business you can upgrade from there. I kinda touched on this already so you probably already realise that you do not need a big team. I’ve never had a team - and while I know all the benefits of having a team the business model that I am currently working with does not require me to have one. I’m all about S I M P L I C I T Y - and if/ when I do upgrade then a team would be great but you can let your tools do the heavy lifting for you like I do and save hundreds if not thousands of dollars every month. Start where you are and grow - that’s the key to making moves online. Stop looking at others who are probably years ahead of you and focus on your current goals and what you want to accomplish. Funnels has made a huge appearance the past few years online and most women are terrified because when we hear of funnels we see these spider web like examples and complicated funnels that just make your head hurt. Luckily for you as a coach you have one goal: book more clients. Your funnel has one job to do. Get you some paying clients - so your funnel is super straightforward and simple. You don’t need a complicated funnel you just need a funnel that does it job - build know like and trust and nurtures your new subscribers so they’re more likely to become a qualified prospect sooner rather than later. I’m all about content. Please believe it’s how I’ve built all my online businesses and established myself as THE SOLUTION to my ideal clients but what I’m not about is creating content without a purpose. You need to create strategic content. Content that helps accomplish you overall goal. And unfortunately most women create content “just because”. You need to have a plan for your content and you need to plan your content. So… if you’ve been scared that you’ll spend hours and hours churning out content - nope. What you do need is to be extremely strategic with the content you create and implement savvy tips and hacks to spend less and less time on content creation. 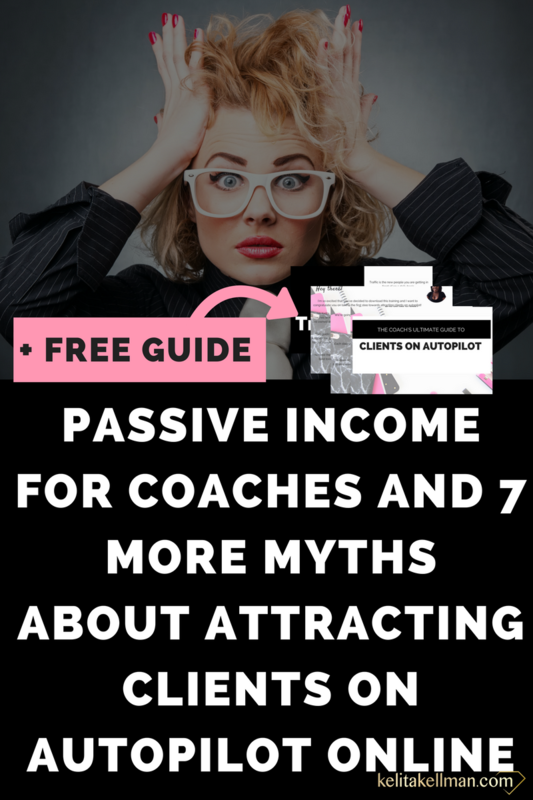 Attracting clients on Autopilot isn’t as hard as it sounds. You need a proven plan, you need to know exactly what to do and you need someone to guide you as you implement and execute that plan. Ready to create a plan and finally ditch the overwhelm and stop chasing shiny strategies online? You know you’re good at what you do - scratch that you’re great at what you do, but you’re the best kept secret (or so it seems) and honestly that just makes you want to cry - unlike what most people think: that’s a bad thing. You’re ready to go big and get booked with dream paying clients you love but who are you kidding? You have no idea how to make that happen. It’s time to stop playing games and step up to the plate. 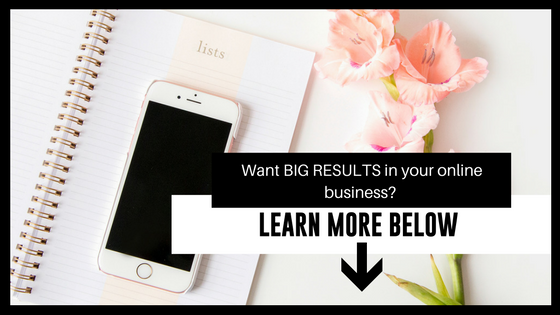 It’s time to take charge and not only create your online coaching business but launch it - finally and grow your business building momentum as you grow. 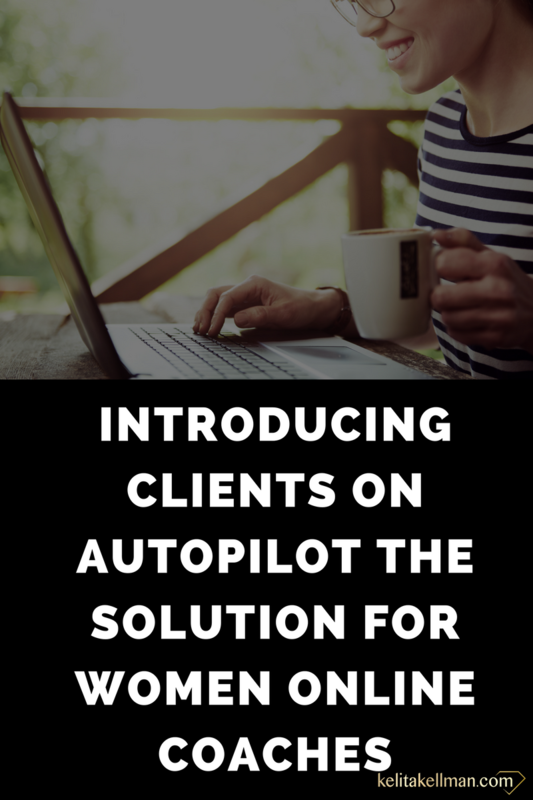 Clients on Autopilot is a 90 day 1:1 coaching package that not only creates and launches your online coaching business that’s set up for profits but also creates a coaching business that can and will attract clients on autopilot. You can be one of five women I wok with to set up their sales machine to attract, nurture and convert paying clients over and over and over again. You know that creating content and awesome graphics is important. You also know that you have to be careful where you get your graphics from. Now you have your stock photo stash it's time to step your entire brand up! Grab the checklists below and complete your brand audit now. BONUS: The video below will show you exactly how I create client attractive graphics for free.